CHASING FOOD DREAMS: Chatz Brasserie, PARKROYAL Kuala Lumpur: A Velvet Christmas at PARKROYAL Kuala Lumpur! Chatz Brasserie, PARKROYAL Kuala Lumpur: A Velvet Christmas at PARKROYAL Kuala Lumpur! It’s almost here! Are you excited? Is your Christmas shopping done? What are your plans for the beautiful holiday season? Christmas is my favorite time of the year… simply because the season brings loads of wonderful feelings of happiness, warmth and smiles. Let’s not forget the food. At holiday seasons, it would be ideal to cook the perfect meal for your family. The only one thing to remember is that the cook would be slaving hours over the stove for the holiday meal and by the time the cook is done, he or she would probably not be able to enjoy it as much as others. So how about taking everyone out for a holiday meal that everyone can enjoy just by relaxing, dressing up to the nines and indulging in a big variety of holiday feast? 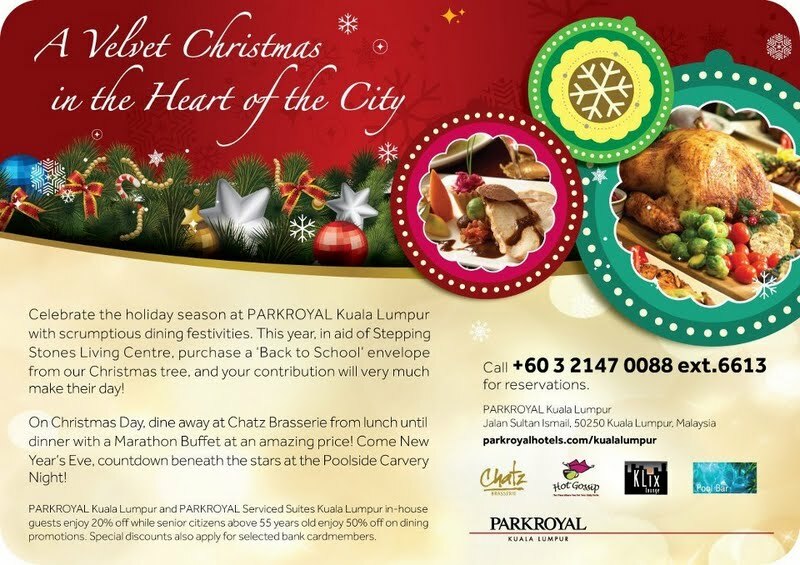 Bringing back a popular Christmas Marathon Buffet, Chatz Brasserie at PARKROYAL Kuala Lumpur is set to treat everyone to a marathon of sumptuousness with its whole day Christmas buffet promotion where one can indulge at their restaurant the whole day with one price! In between those holiday indulgence, one can hop out and so some sightseeing or shopping around the city and return for more feast… how’s that for some pampering? Catch a glimpse of Chatz Brasserie festive holiday spread to see what’s in store for you! Before the mains, check out their ever impressive appetizer bar where a kaleidoscope of chilled seafood rest on bed of ice together with dainty canapés, open faced sandwich, cold meat platter, salads, cheese platter and more! Hitting the hot food warmers, the kitchen team at Chatz Brasserie has prepared classic hot dishes to warm your tummies like Moussaka, Venison Stew with Celeriac, Pan Fried Salmon Fillets and more. A lovely load of sides like Sauteed Brussels Sprout and Fried Pin Potatoes make great sidekicks to all the sumptuous mains. Some local treats are also available to cater to those who just love their Malaysian cuisine! As usual with holiday treats, make sure to save room for Christmas treats! From gorgeous sweet Warm Christmas Pudding, Christmas Fruit Cake, Christmas Yule Log to Ginger Bread, Christmas Cookies and Mince Pies, there is more than a little for everyone’s sweet tooth! 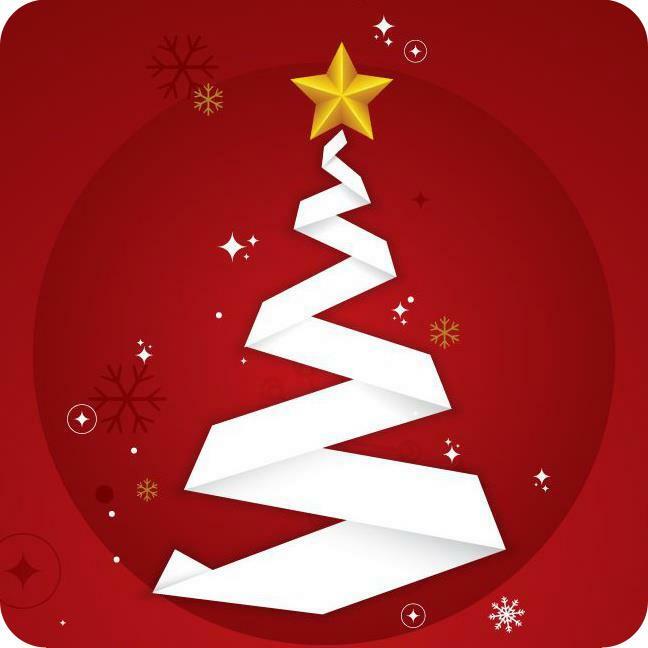 Besides all the above, the actual Christmas Day Marathon Buffet will feature, lots of Cold Selections, Cream of Asparagus, Chinese Hot and Sour Soup, Chicken Rendang, Ekor Asam Pedas, Unagi Fried Rice, Fried Prawns with Seven Spices, English Cut Roast Beef, Satay, Char Kuey Teow, Waffle, Chicken Rice, Seafood Noodles, Asam Laksa, and a whole load of international and local desserts! While enjoying the holiday treats, let’s not forget to do our bit for the nation! In this season of sharing and giving, PARKROYAL Kuala Lumpur has not forgotten the less fortunate, the children at Stepping Stones Living Centre, a home for children from needy and broken homes are in need of essentials such as school uniforms and school shoes for the upcoming year. PARKROYAL Kuala Lumpur would like to invite well-wishers to make Christmas for these dear children more memorable as the return to school next year. Founded in 1998, Stepping Stones Living Centre was set up by Pastor Johnson. Presently located in Taman Seputeh, children and single mothers are taken into the Home regardless of background or belief. Together with PARKROYAL Kuala Lumpur, you can fulfill their needs by purchasing a ‘Back to School’ envelope from the hotel’s Christmas tree at the lobby. **All in-house guests and diners on New Year’s Eve receive a complimentary pass to countdown at our poolside to experience the spectacular fireworks display! Didn't know Park Royal offers such luxurious christmas buffet !! Whoaa... or is it just because that the picture captured from your lens is always that (exceedingly) alluring? I like the ginger bread man!! So adorable!